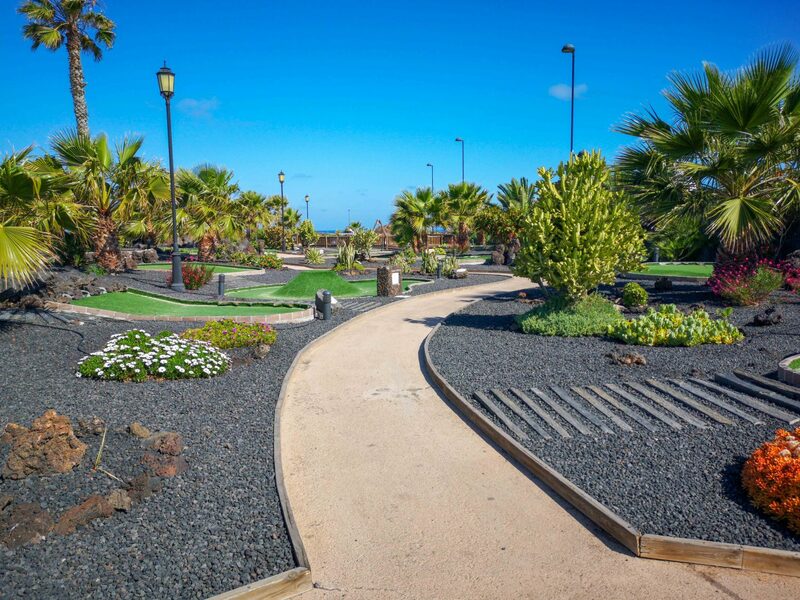 A luxury weekend in… FUERTEVENTURA, Canary Island, Spain. This winter looked pretty long to us, and it was some time we were looking for a long weekend somewhere where it is warm. We all were missing the sunshine. A lot. Damian was continuously asking me, when he will go to school in shirts and t-shirt. So, I started investigating options that will be affordable, and warm at the same time. 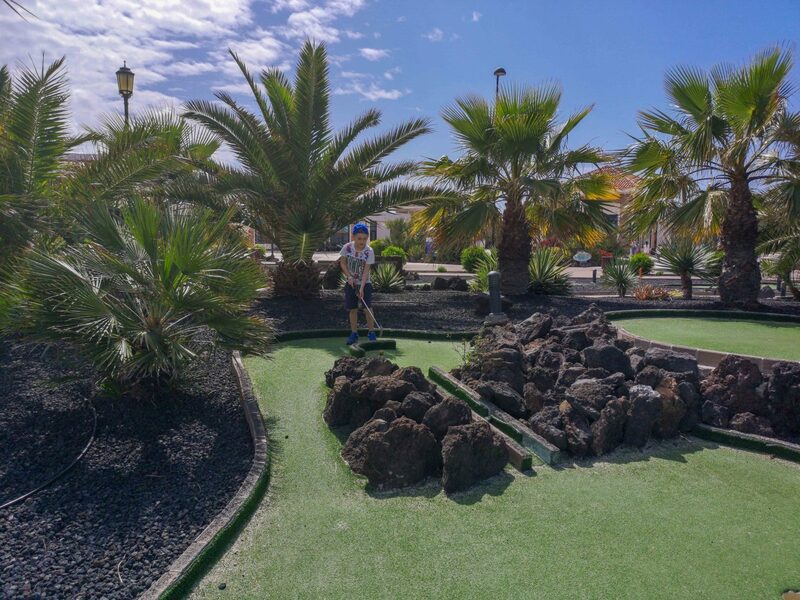 Fuerteventura was always on our bucket list, but everytime we looked to flights there, the best flight options were to Tenerife, or Lanzarote, both islands we already discovered. Once we got, the collaboration with Pierre & Vacances, previously we were talking about going to Andorra. 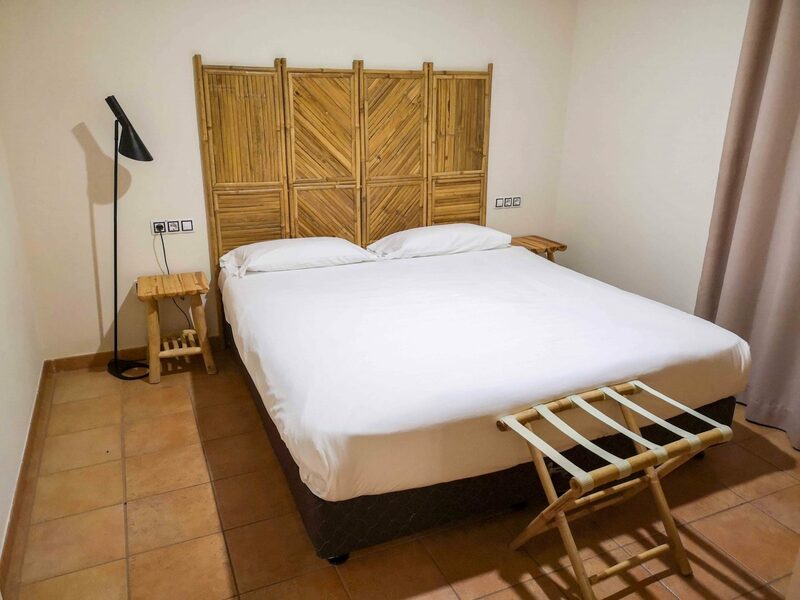 But on the very last minute, we chose to go to Fuerteventura, and discovered not only their beautiful villas, but as well all the village they have there. Fuerteventura is 3h away from Barcelona, and it is obviously not a short weekend destination. It is a destination to go for at least 5 days, what we did. But, talking with other guests we found out, that they stay for 2 weeks and more. I am sure, that they even did better than us. It is a pleasure to stay there for more than 2 weeks. From Barcelona you can get a direct flights with Ryanair. What we did. And if you get the flights time in advance, then you can get a pretty good deal. Comparing to other Canary Islands, to get to Fuerteventura from Barcelona is more expensive. But, there are great deals from Madrid, and I am sure from English destinations as well. As almost all the guests that we saw in the Pierre & Vacances village were English. 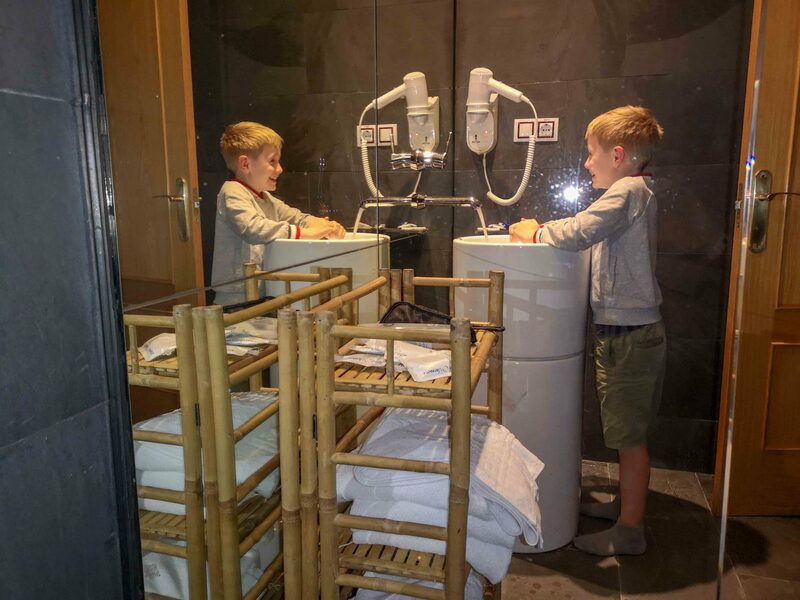 It is a family-friendly resort that is more holiday village than hotel. Proving that kind of holidays that you can relax and forget of your daily busy routine. We arrived in the evening on Friday, and till we took our rented car, and we got to the village took us more than 1h. Actually, Pierre & Vacances village is only 45 min from the airport. And we didn’t know what to expect. Almost, everytime we went to an apartment, there were a limited time for check in. But, it is not the case. 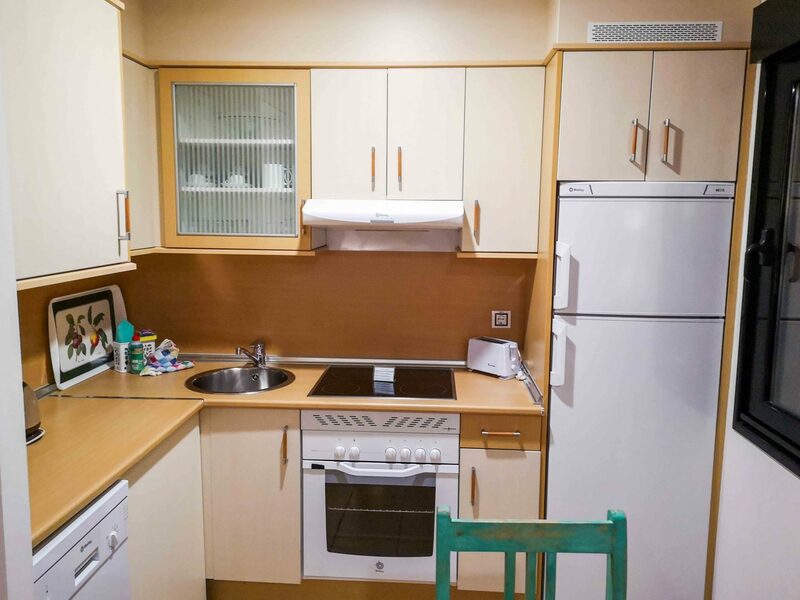 Pierre & Vacances Origo Mare Village has 24h reception. So, at 9pm, we were attended by an amazing receptionist. After a 3h flight, 1h to get there, all we wanted was to get to the villa and go to sleep, by the way Marc was already sleeping in the car. Receptionist, made a very warm welcome, by explaining us all the details about the village, our villa, all the activities they make. It was a great welcome, as before we got to the reception, we literally got lost in the village, as it is so big. But, after detailed explanation, it seemed all so easy. 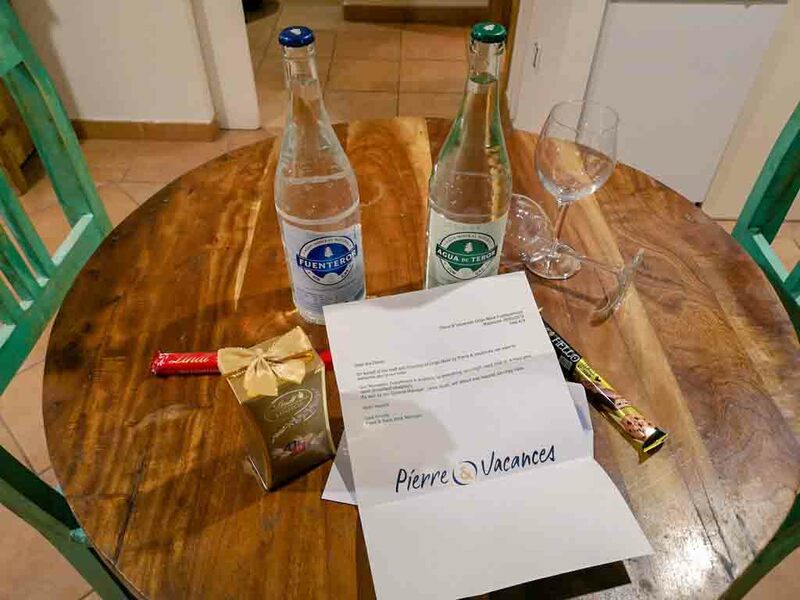 Once in the villa we were quite surprised to be welcomed by a choice of water that is very known on the island and chocolates, and not to forget a welcome letter of the manager of the villas. It was amazing to feel so great with such details once we entered the villa. 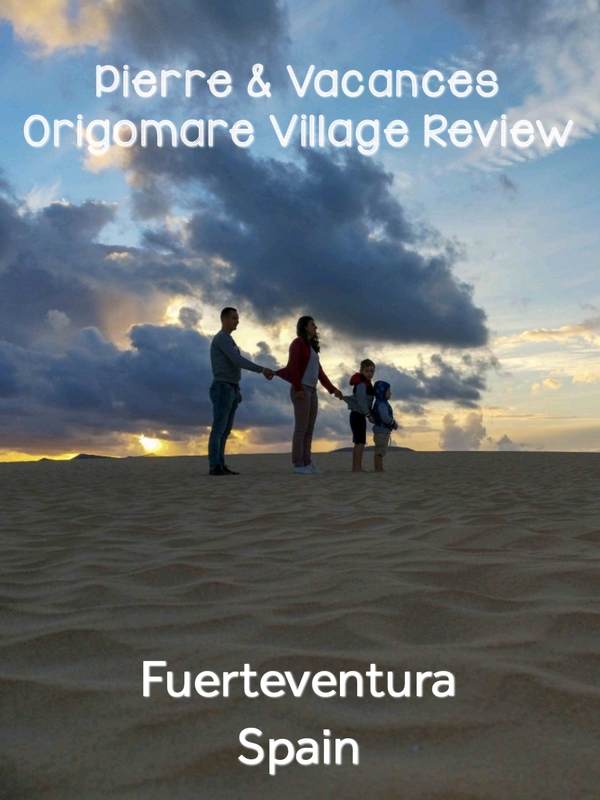 Pierre & Vacances Origo Mare Village Fuerteventura has different types for villa, and of course it depends on how many people are you staying there or how many amenities do you want to have. We had a 1-bedroom villa with a king size bed, and a sofa bed in the living room, that can be used for 2 people more. 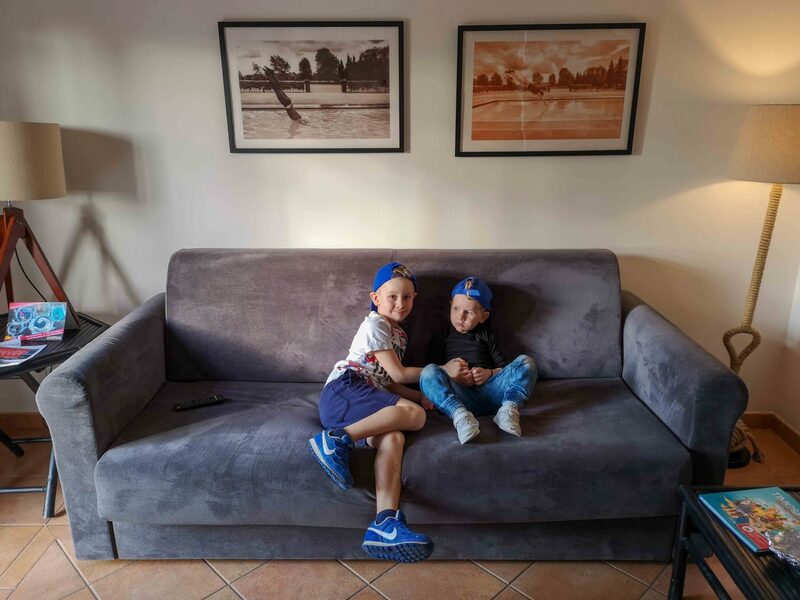 This villa was just perfect for our family of 4. I loved the traditional style of it and how well proportioned it was. 1 bedroom, with a door, a living room with an open-plan kitchen, dining area inside the villa, and another one, right in front and a great outdoor space, where kids loved to spend their time while I was preparing the food, or we were preparing for the next road trip through Fuerteventura. The outdoor sitting area was where we spent all of our evenings and nights and kids were eaten alive by mosquitos (luckily not a lot). The bedroom was super spacious, in top condition, and had closet space with proper hangers. Hotel-grade linens and towels were provided – and I have to say, the beds and pillows and everything were of great quality. As said previously, it was a king size bed. On the very first night we slept all 4 in the same bed, just to avoid that kids wake up during the night and don´t understand where they are. 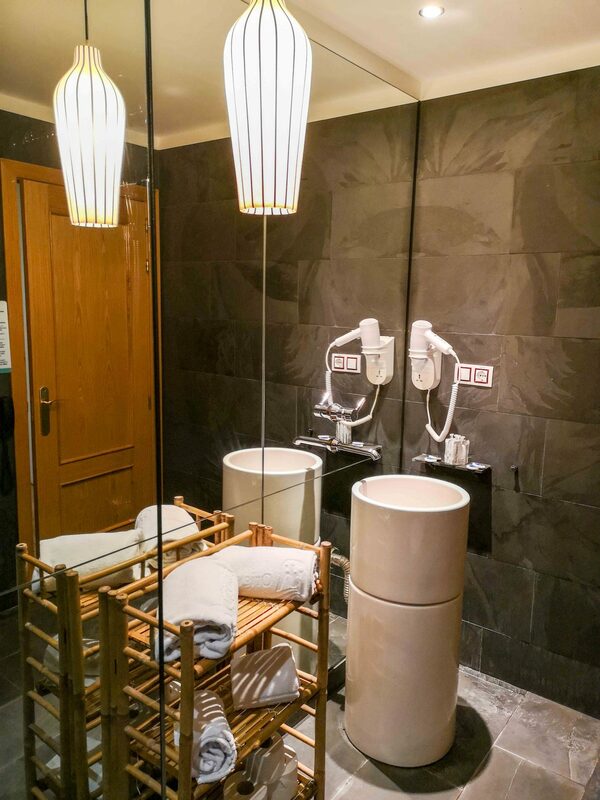 Our bathroom was also fantastic – I loved small details like the huge mirrors, and lovely design that I haven’t seen previously in the hotels. I loved the towels and that in 2 days, they changed those to us. 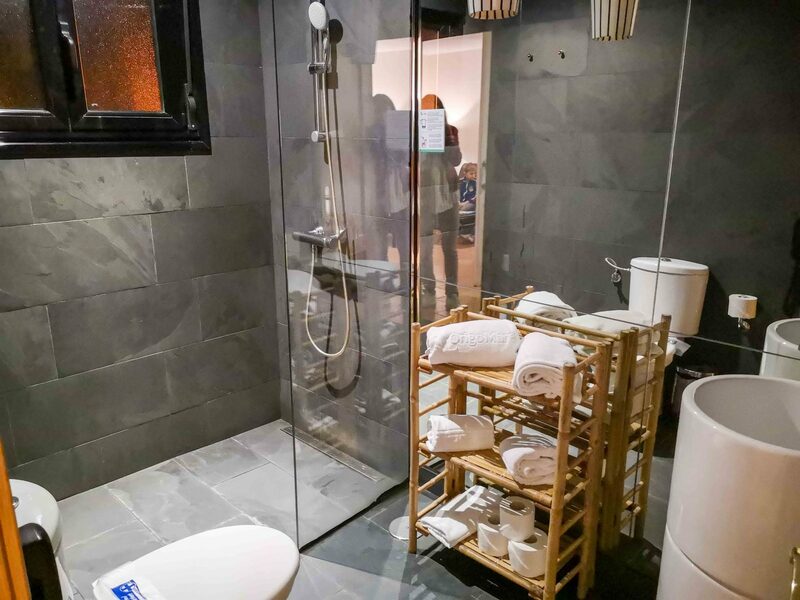 Usually, during your stays in the apartments the towels are not changed on a daily basis or during the stay. And it was quite a pleasant detail. As well, I loved that we had a hairdryer, that was working perfectly and it was easier to me to wash my hair during the late evenings. Shampoo and shower gel were provided in the bathroom (we had brought our own). As well, the thing that is not seen when you stay at an apartment. The living room was the heart of the house. And it was almost, because there was the kitchen and TV. I know I am using this word a lot – but you can see what I am talking about. We had a comfortable seating area, and an easy to use TV. Whilst we didn’t actually watch much TV, we used to spend most of our time, outdoors. The kitchen was small but very comfortable. Easy to use and I loved finding out where things were. It had everything from cutlery, to plates, lots of serving plates and pots and pans. In the cleaning front, we also had dishwashing tablets, washing up liquid, plenty of kitchen towels and the lot. I have to confess, I can give 10 points to an apartment only if it has a dishwasher machine. As we use, to eat home during the evenings and breakfast while we travelling, I know how is to miss such an important thing. There was a coffee maker and tea maker, oven, dishwasher, fridge. 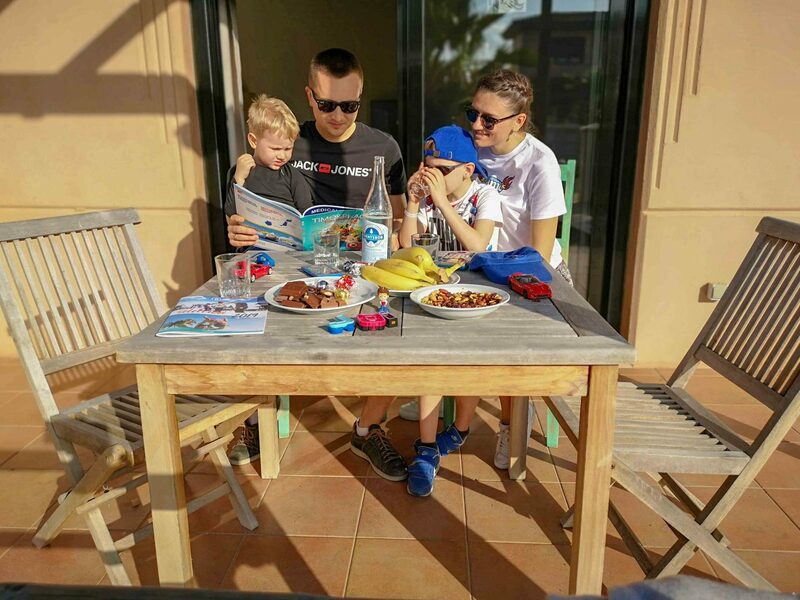 A complete pack you need for a family stay. 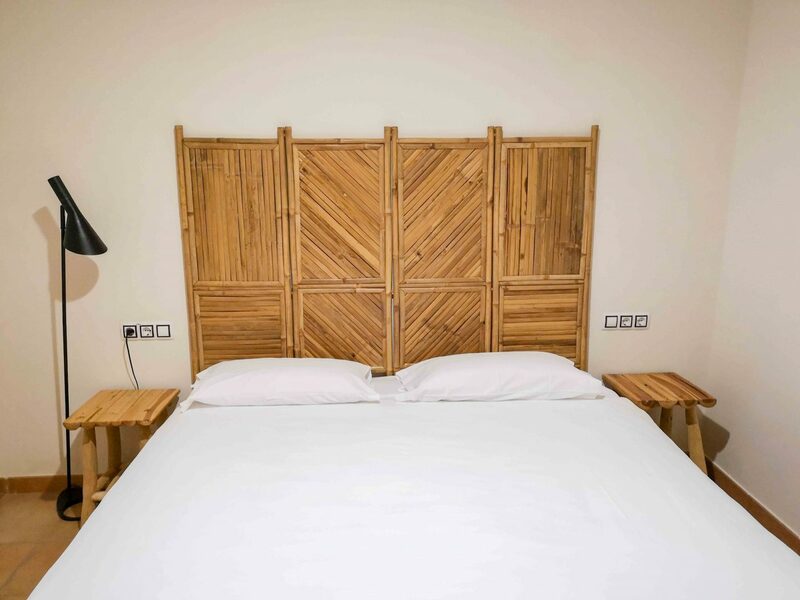 As well, here to mention, while staying at the Villa you can also choose any of the meal boards they are offering, from room only to all inclusive. I was asked by you on instagram, if we took an all inclusive board. Here to say, no, we stayed in a room only, so we are not aware how food is it there. All we know, is that there are 2 restaurants, 1 that serve buffet meals and 1 that you need a previous reservation and you can have your meal a la carte. The outdoor area was also very well conceived. Our kids in a very special manner. At Pierre & Vacances Villa there are 2 pool areas. One that is for adults only, and looks spectacular, but we didn´t make use of it. And another one for using it with kids. I counted 3 pools there. Those pools were specially designed for kids use, and I felt more like in a waterpark. If you watched our stories on instagram, you probably saw those. And if not, we invite you to watch these videos in the highlights. All the pool area had sun loungers, and eating areas. Perfect for not going anywhere far from it, right? Pool area is included in the price of your stay at Villa. 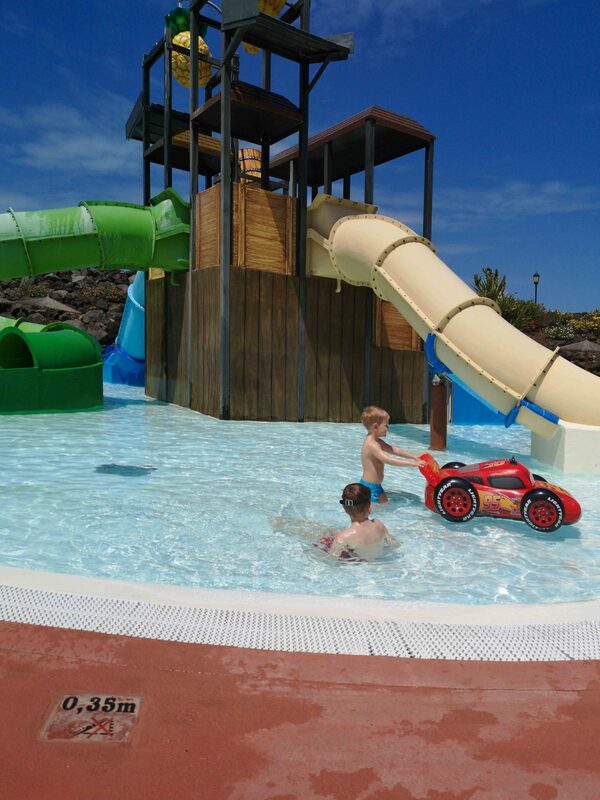 Everyday, at Pierre & Vacances Origo Mare Village, are organized kids activities. You can leave your kid for all day long, or for few hours in the morning or evening. They do different learning and playing activities. Neither one of our kids wanted to go there, we didn’t insist, as we had plans to go to discover the island, and few days to stay there. Anyway, the activities seem to be cool enough, and the only thing I really wanted to try, was the Adults Only swimming pool area. Kids activities classes are for free. Ok, we are not a golf players at all. Damian, was looking for some while at kids playing there, that we decided to try it. 1h of rent to play there, is only 5 EUR. One hour was enough to play each of us and to get used with the place. As not being a golf player, 1h was ok for us. There are daily evening activities in the bar area. From 9pm to 9.30pm for kids and then shows for adults. Pretty interesting. On one of the evenings that we were not too tired, we went as looked at those. Really lovely. Pierre & Vacances Origo Mare Village has several parking areas where you can leave the ca, and there is also off street parking. No problems whatsoever in this department. And no additional costs. As said previously, was pretty clean, and we loved it. Was of course provided and worked well during our stay. Check out time is at 10am, but you can check with the reception for a late check out. In our case, we couldn’t have it as there were other guests to come in our villa. But, they left us till 11 am. As if you want to stay by the pool, then they have special area that you can take a shower, after pool time. On the last day was so windy, that we changed our plans of staying by the pool, to discover more of the island. That is why, we left it at 10am. 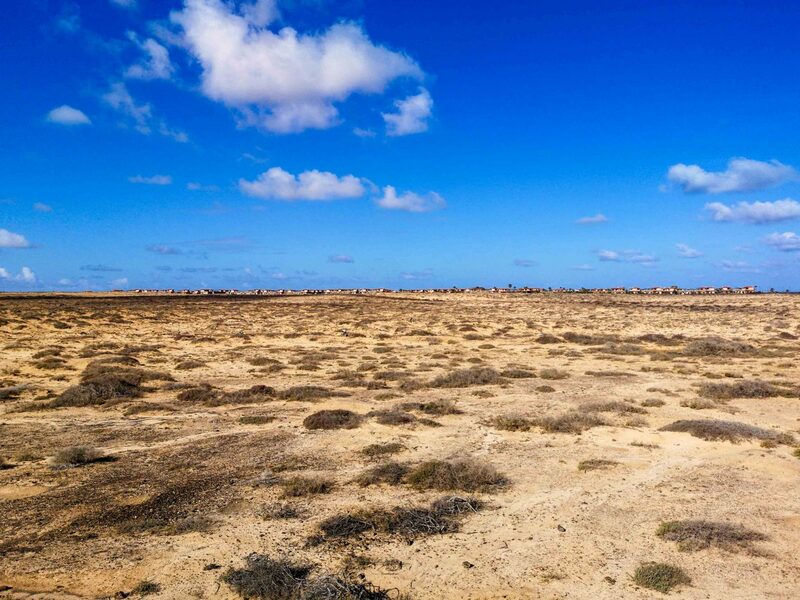 This is the most isolated of Fuerteventura’s hotels. If you plan not to rent a car, and to get on public transport, then we advise you to get in touch with the property and ask for indications. 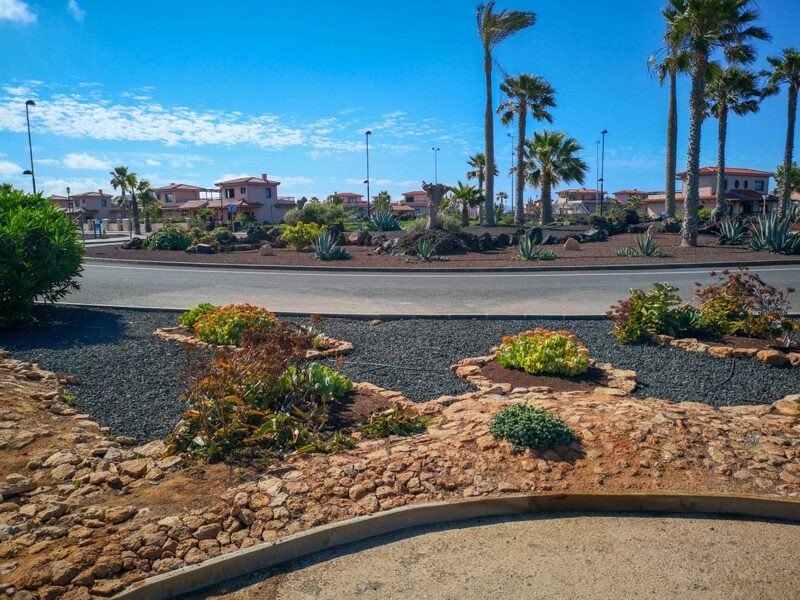 Because, Pierre & Vacances in Fuerteventura is literally a village, outside any other residential area. While, with a car is not even a problem to get there. 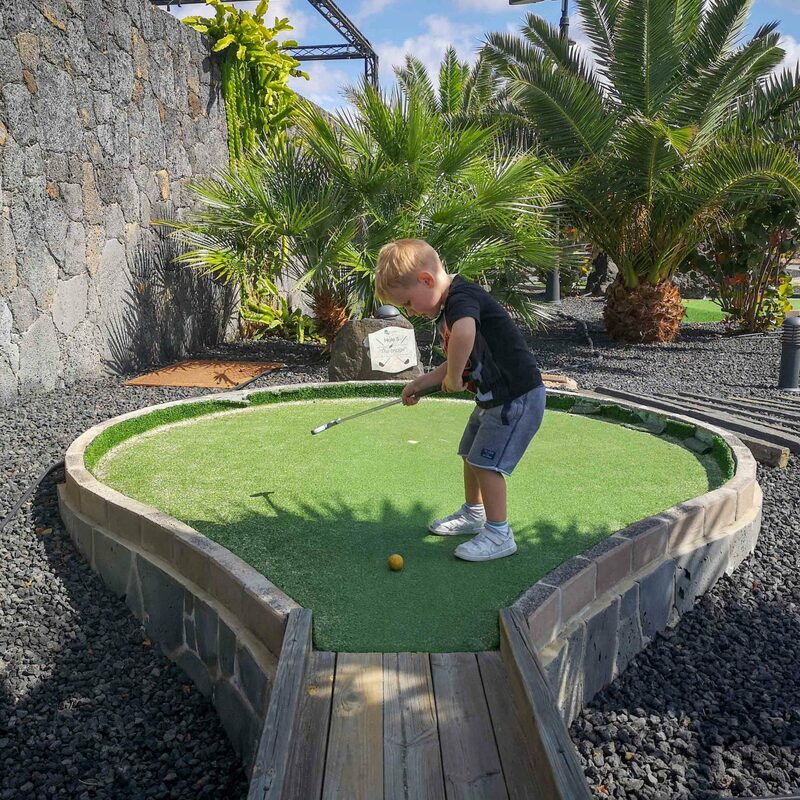 There is no other way I can word this – we adored Pierre & Vacances Origo Mare Village in Fuerteventura. The villa was beautiful, had everything we needed and we loved the privacy of having our own outside area. 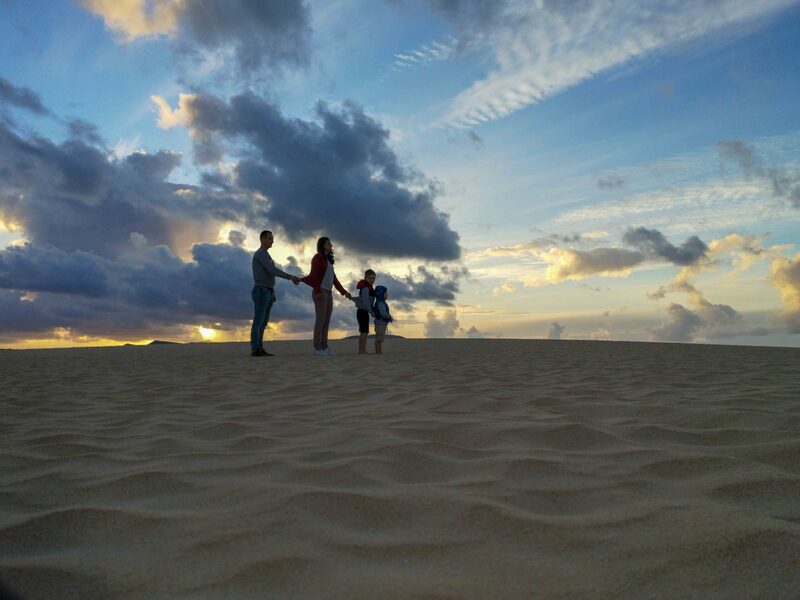 Discovering Fuerteventura with Pierre & Vacances was, as expected, almost magic. There is something about this island – very relaxed, but also quite chic, and also very pleasant to the eye. I like the variety that it offers – you can be in places where you see no one. But you are and only a couple of hours away from home. Staff are approachable and open to help you in whatever you need. Hasta pronto! We shall be back. Carretera Majanicho 100, Lajares, Fuerteventura 35650, Spain. Previous Post 1 day at Parc de Ciutadella with kids. Barcelona Local Guide. Oh wow that looks like a great getaway with the family. 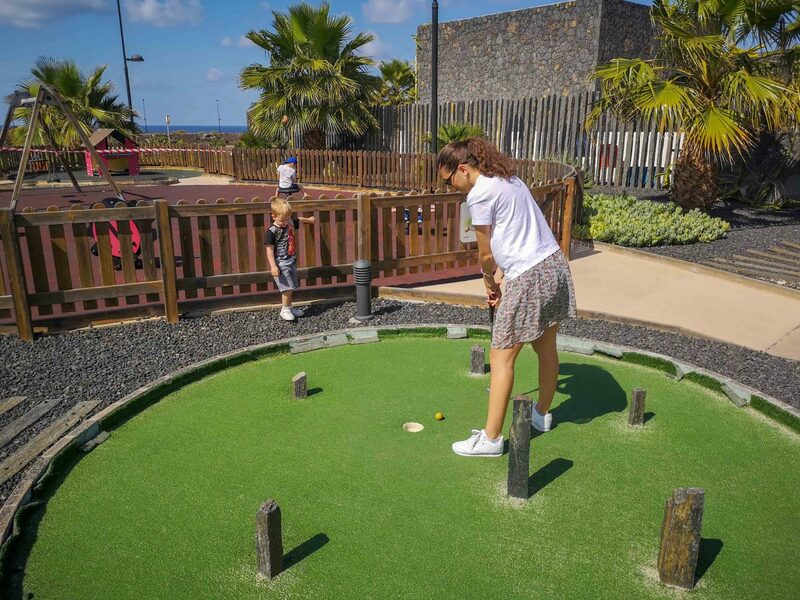 My kids love doing the mini golf whenever we go for a vacation. 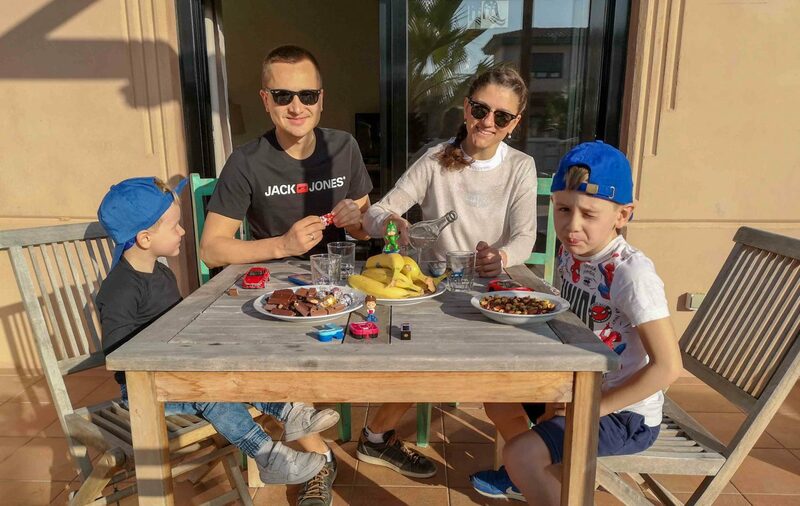 Such a beautiful family and those pictures are gorgeous. 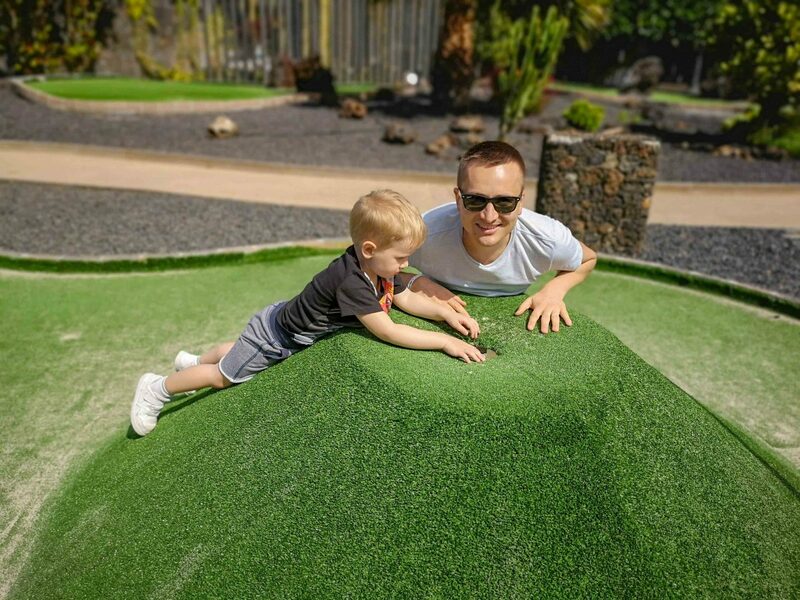 It was our first time when we played mini golf, and yes it was a lovely experience. Looks like such a fun trip! It’s nice to find family-friendly destinations. Looks like you had a great place to stay. It’s nice to have a TV for when the kids are exhausted, but I agree to have them outside getting fresh air as much as possible! The beach and pool look amazing! 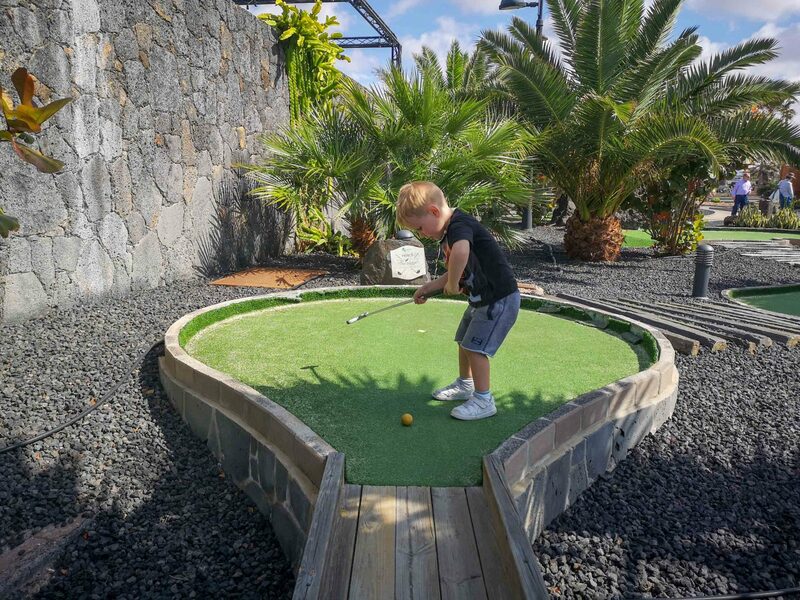 Pierre & Vacances Origo Mare Village in Fuerteventura looks like an amazing place to go with your family. 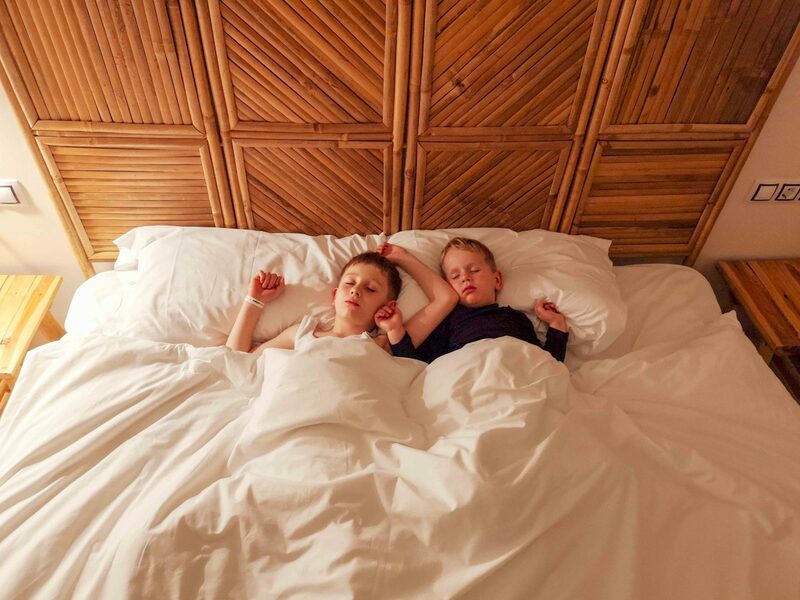 Your hotel rooms look comfortable and complete, and the facilities look great for the kids. It’s perfect because you can enjoy an island vacation that’s not too far from your home. Beautiful pictures and descriptions! Thank you, this resort is very well thought on families with kids.